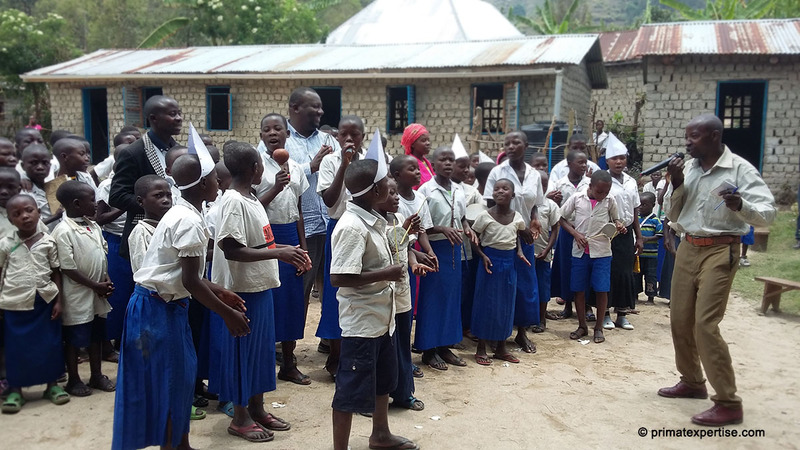 Mobilization of schoolchildren on the conservation of non-human primates in Kisheke, Idjwi territory. 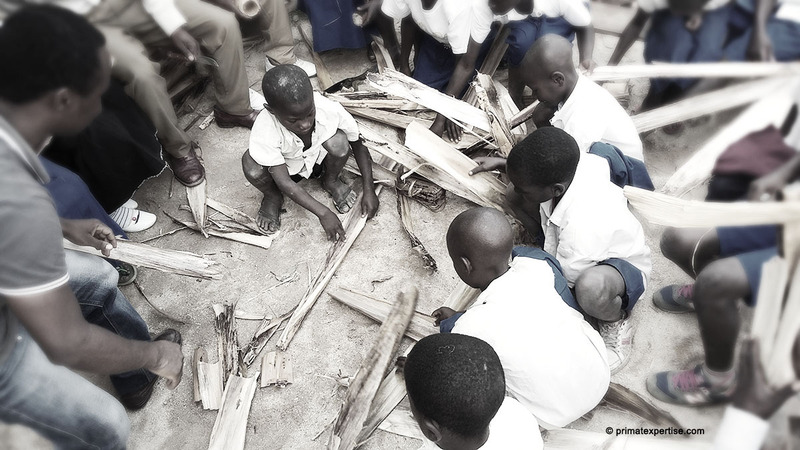 People’s poor living conditions constitute one of the underline causes threatening the endemic subspecies of blue monkeys (Cercopithecus mitis schoutedeni) inhabiting Bulolero Forest Reserve located on Idjwi Island. 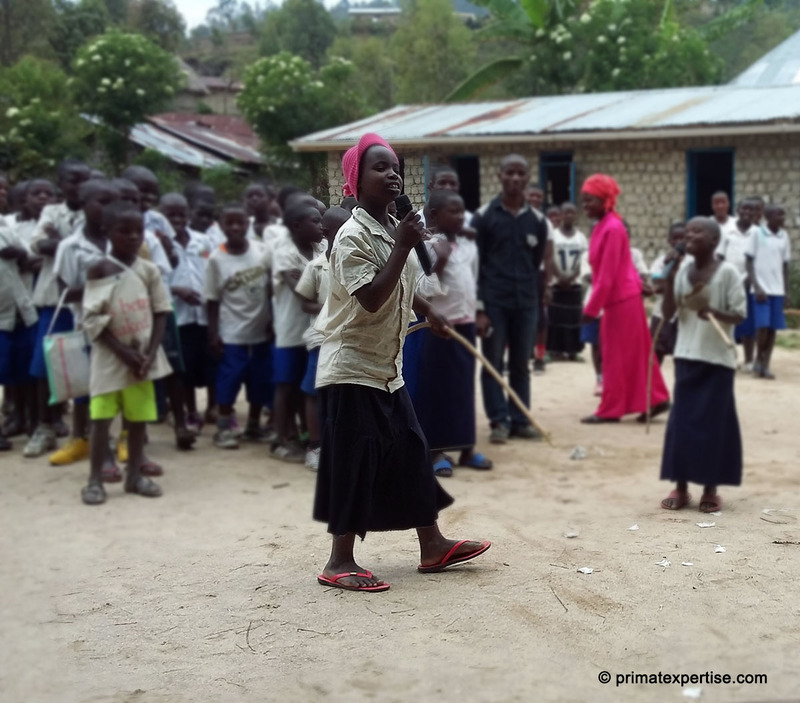 To contribute to the conservation activities in Bulolero, Primate Expertise (PEx) launched an environmental education program for young schoolchildren at the Kisheke Primary School on 27 September 2016. 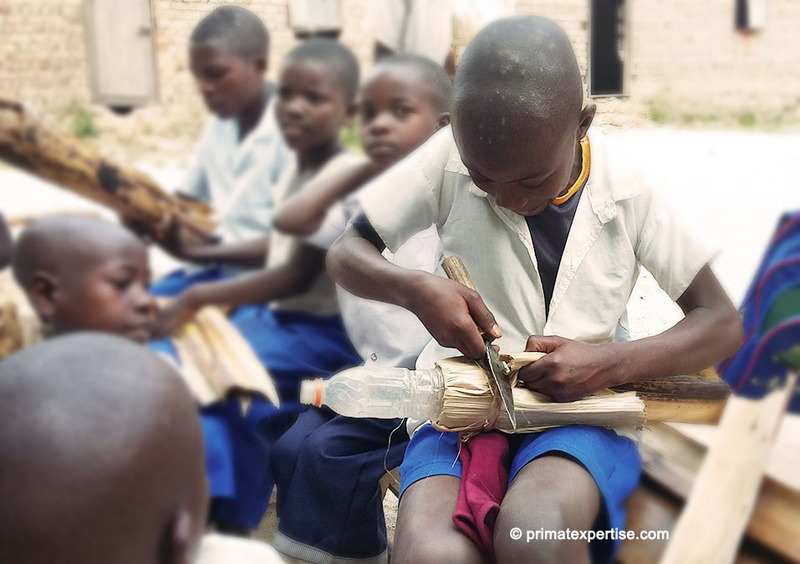 The aim of this environnemental education program is to stimulate interest among young schoolchildren in the conservation of biodiversity, empowering them to take later the leadership in Research and Conservation of non-human primates in their natural habitat. 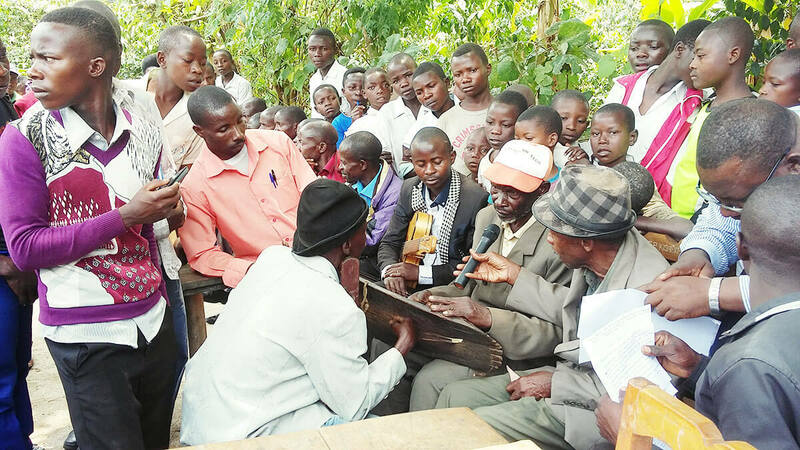 PEx Executive Director Dr. Augustin Kanyunyi Basabose and the Director of Kisheke Primary school (in the middle) in an coservation awareness session . Bulolero is characterized by a degraded environment. 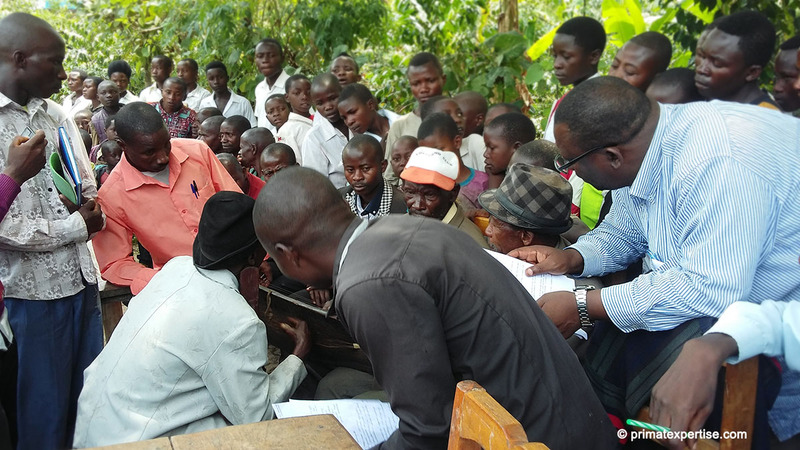 People are poor and face several challenges on daily basis including: lack of clean water and food, difficult access to primary health care and education, unrestrained exploitation of forest resources threatening the few remaining fragmented forests in the neighborhood of Bulolero. 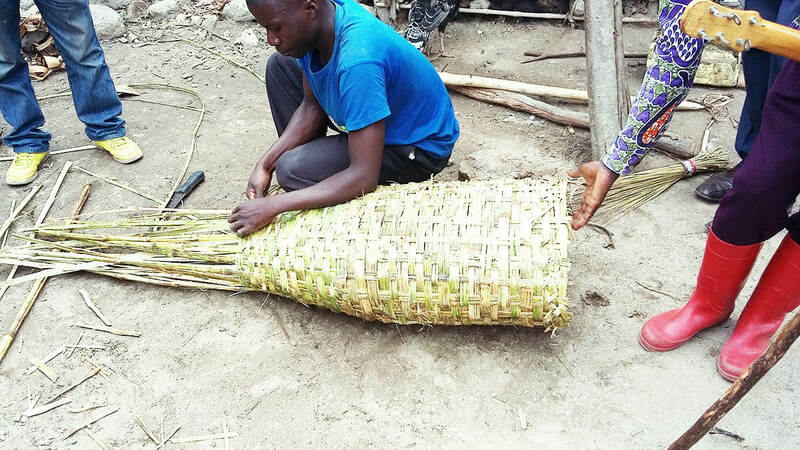 Indeed, large areas of forest are converted into agriculture lands for subsistence farming. Deforestation has led to the disappearance of biodiversity, particularly that of non-human primates which presence is becoming increasingly rare throughout Idjwi Island. A small isolated population of an endemic subspecies of blue monkeys (Cercopithecus mitis schoutedeni) is only found in a small degraded forest habitat at Bulolero. Primate Expertise (PEx), in collaboration with a local development association named “Initiative pour la Restauration et la Conservation des Forêts d’Idjwi / Initiative for the Restoration and Conservation of Forest of Idjwi“, IRCFI in acronym, has been engaged since 2013 in conservation activities to protect the endemic blue monkey subspecies in its natural habitat at Bulolero. 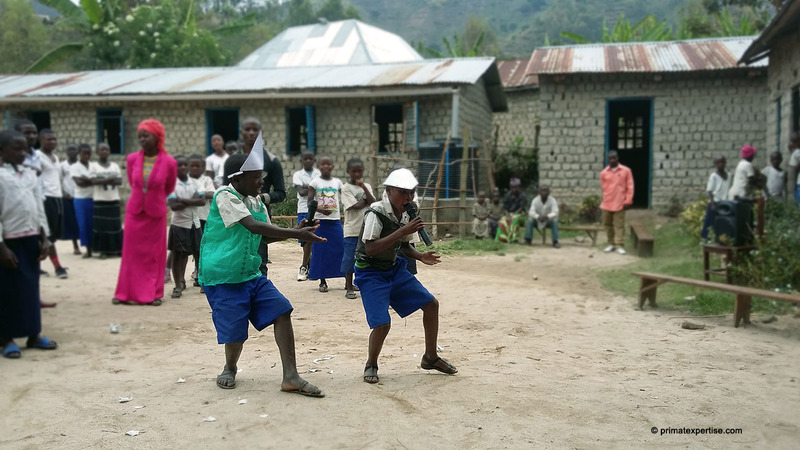 Three griots from Kabare, a neighboring village of Bulolero, were invited to this connservation awareness campaign. 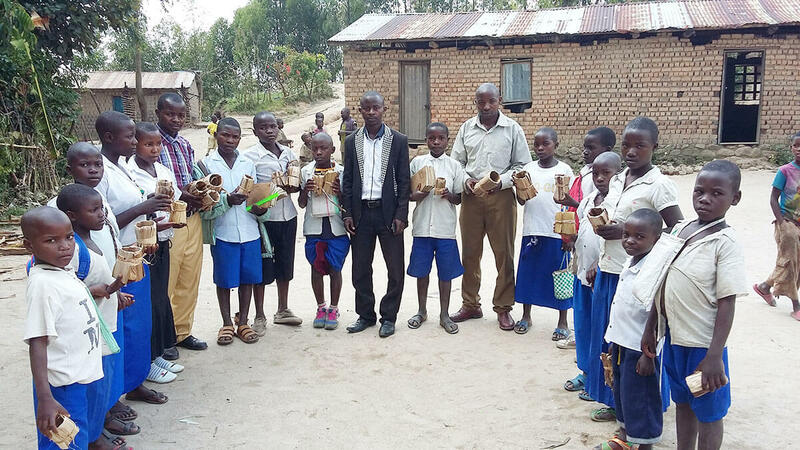 The theme of the awareness campaign was “the interaction between the lives of humans and animals”. 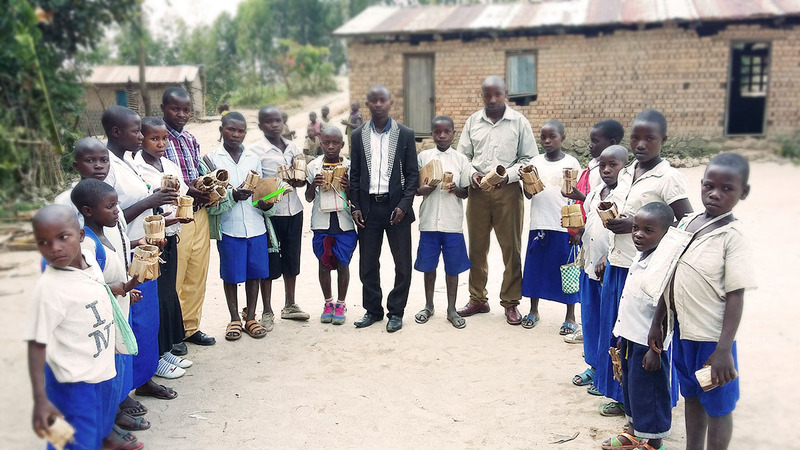 Through tales of the relationship between animals and humans, these talented griots have engaged in an exciting cultural exchange activity for schoolchildren and several other attendees comming from neighboring villages. 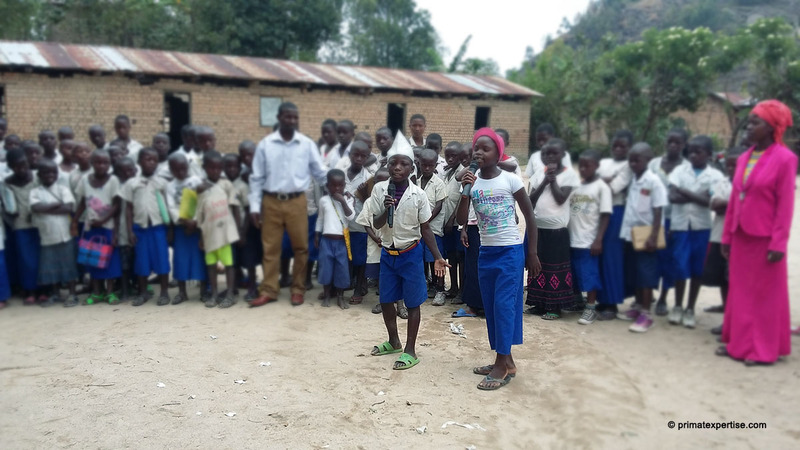 Several young schoolboys declaimed poems about the life of animals embellished with the tales said and sung by the griots invited at this campaign. 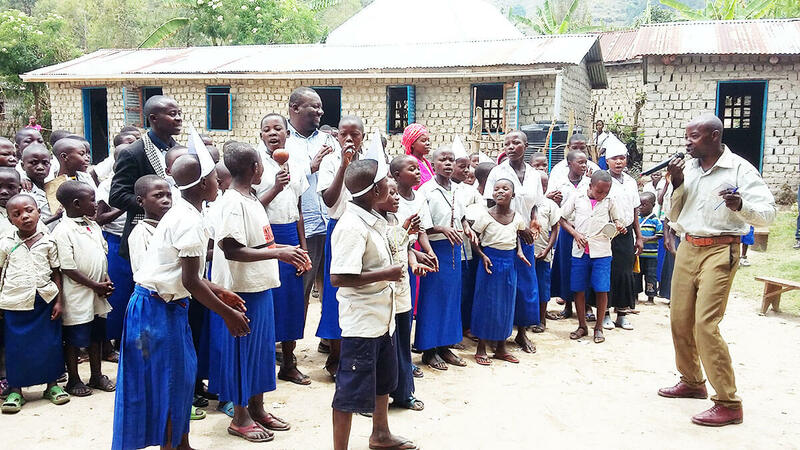 The griots declaiming their tales surrounded by schoolchildren and their teachers. 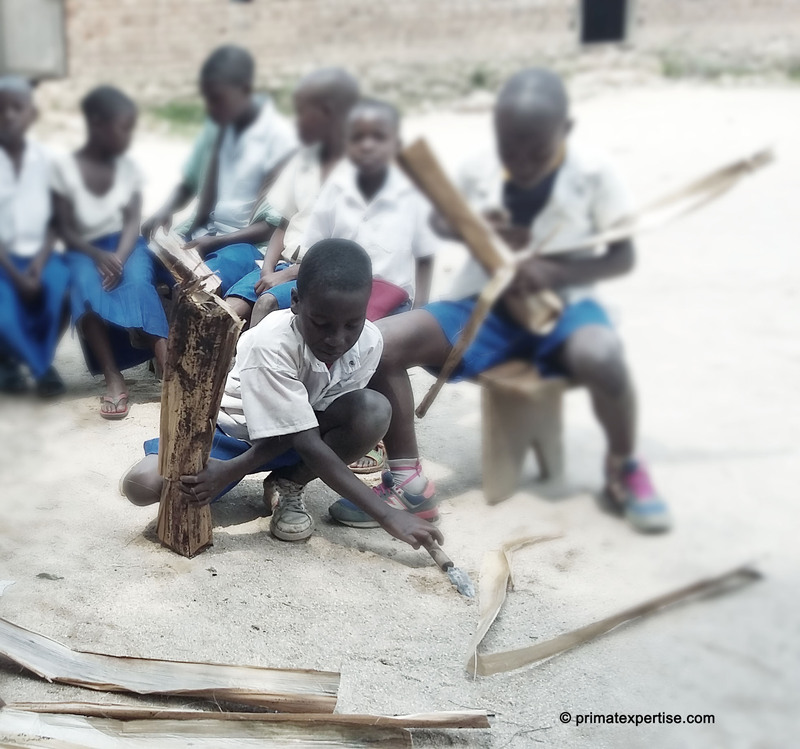 In order to ensure continuity of conservation activities at school, the school authorities with the support of PEx, set up a “Friends of Nature” children’s club that will be animated by the pupils themselves under the supervision of the head teacher. 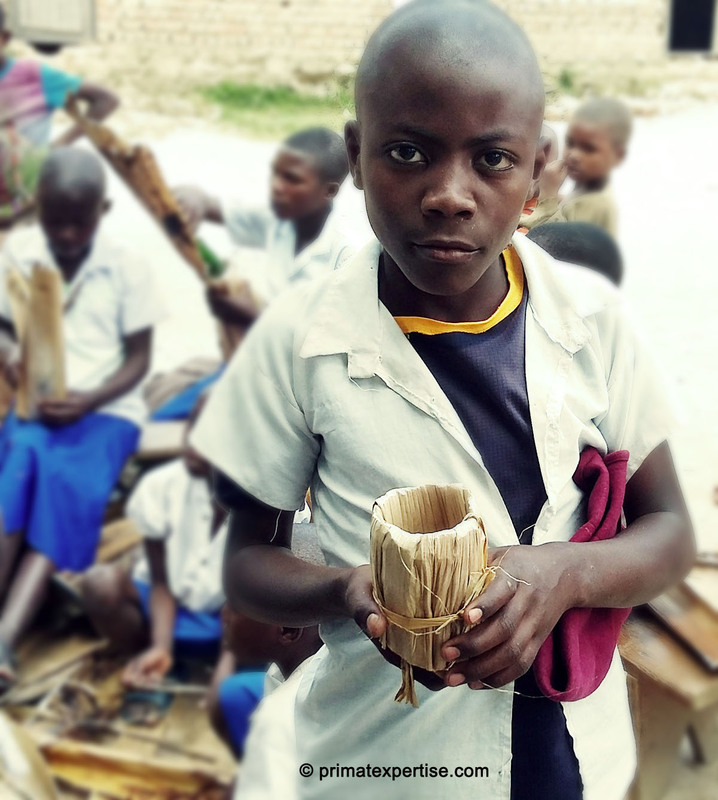 Schoolchildren have demonstrated their talents in making organic pockets using local materials made of banana sheaths. 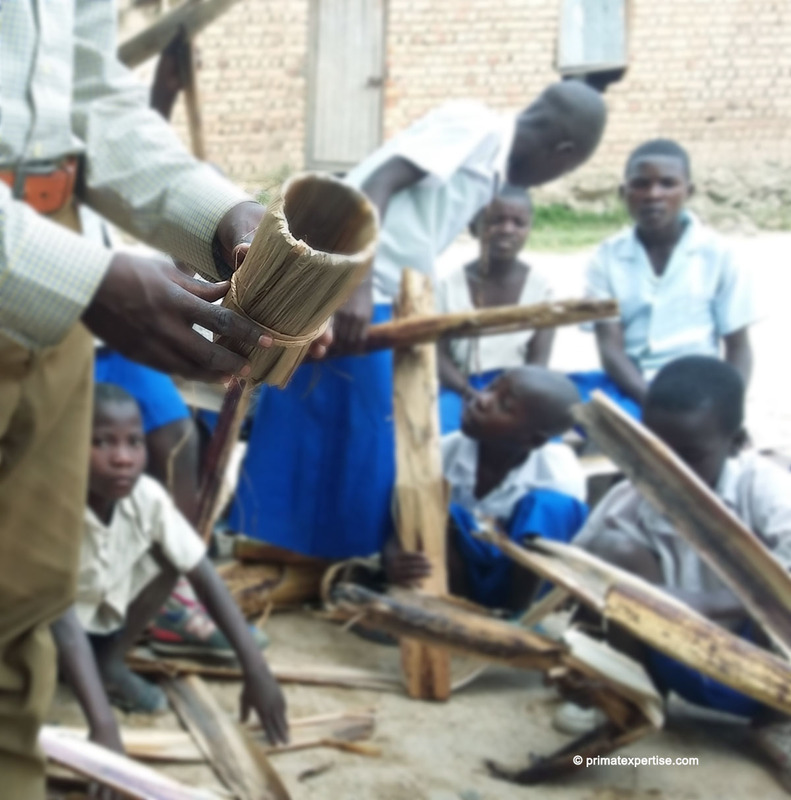 These pockets are very useful in school reforestation program as they are used to keep young seedlings of tree species after germination from the nurseries. 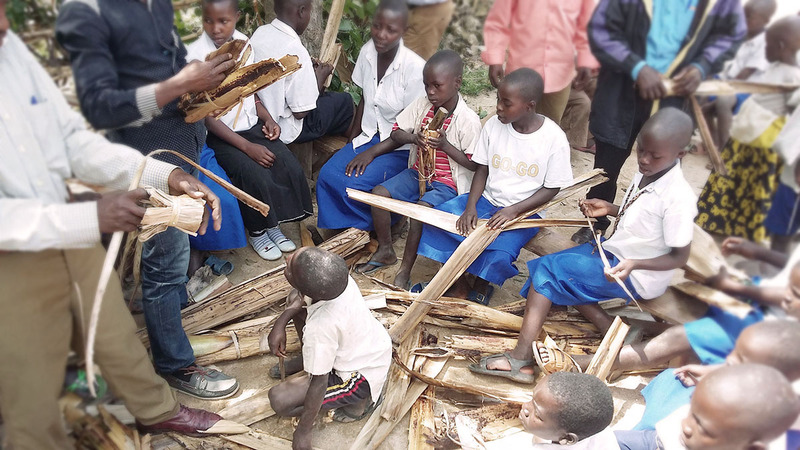 The Director of Kisheke primary school (in the middle) surrounded by pupils members of the “Friends of Nature club” with their teachers presenting organic pockets made by themselves. 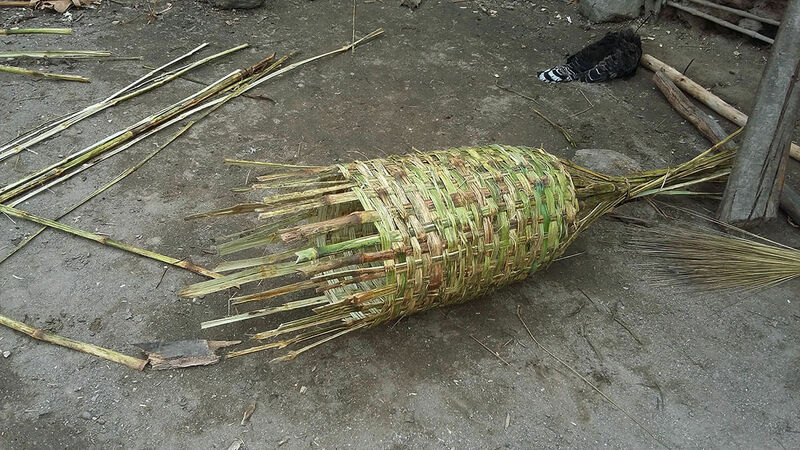 To decrease population pressure on the primate natural habitat, Primate Expertise suggested to the people of Bulolero to engage in beekeeping activity as an alternative income-generating business. 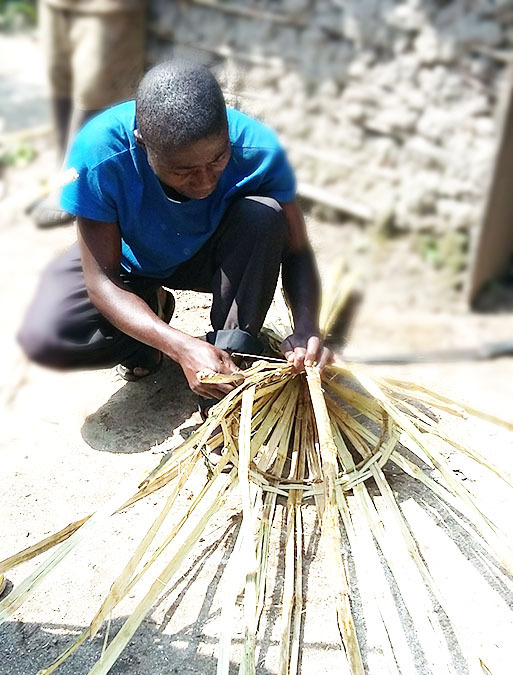 A volonteer demostrated how to make a traditional beehive using local materials.